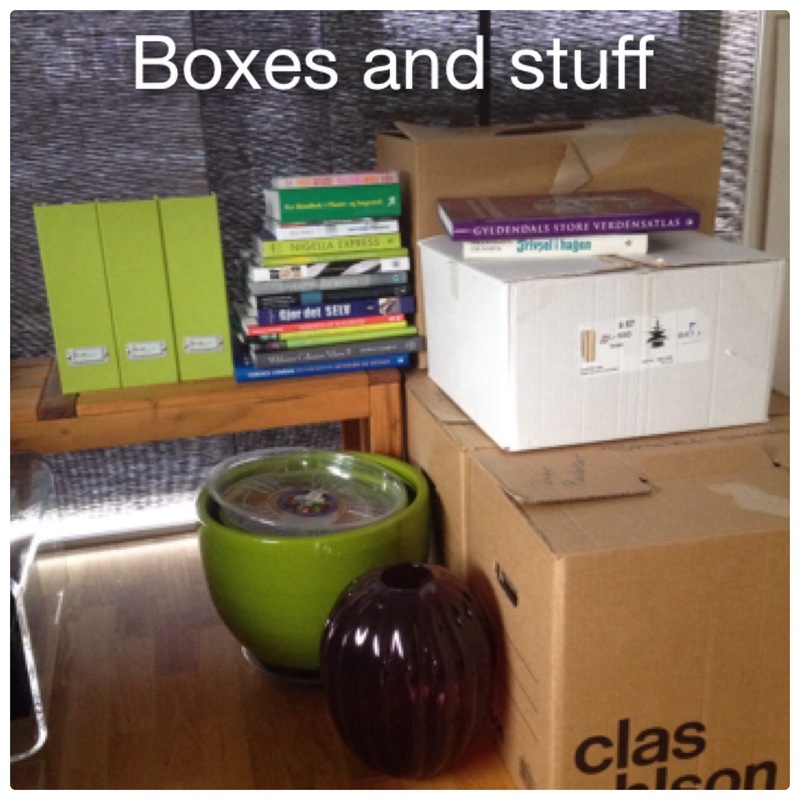 Packing party – guest room and living room results! It’s raining outside, and it’s time to let you inn on how the last part of my packing party went! 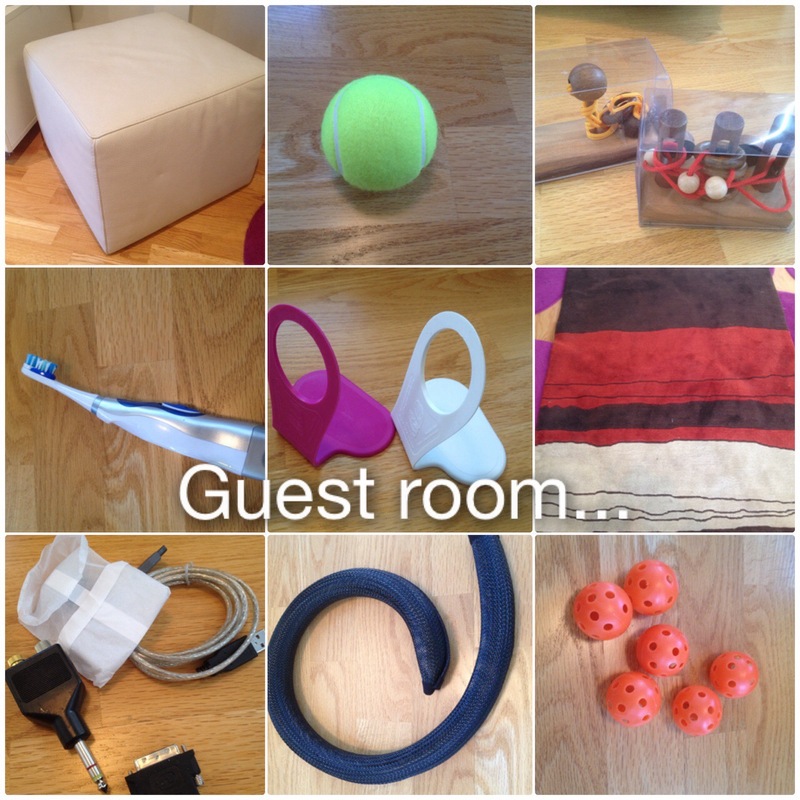 As you might remember from a few weeks back, I told you my guest room was next on the list. Weeeell… it didn’t go quite according to plan… The guest room is a horrible room to do the pretend packing party on, as I think I probably have almost as much stuff in this one room, as I have it the rest of the house put together! As good as my intention was to pull everything out, pack it up and leave it for a few days, I lost heart somewhere in the middle and just couldn’t do it..
You see, I have gone through and decluttered this room several times over the last few years. And there have been soo much stuff that have gone out-the-door, specifically from this one room, that I’m now having a really hard time. 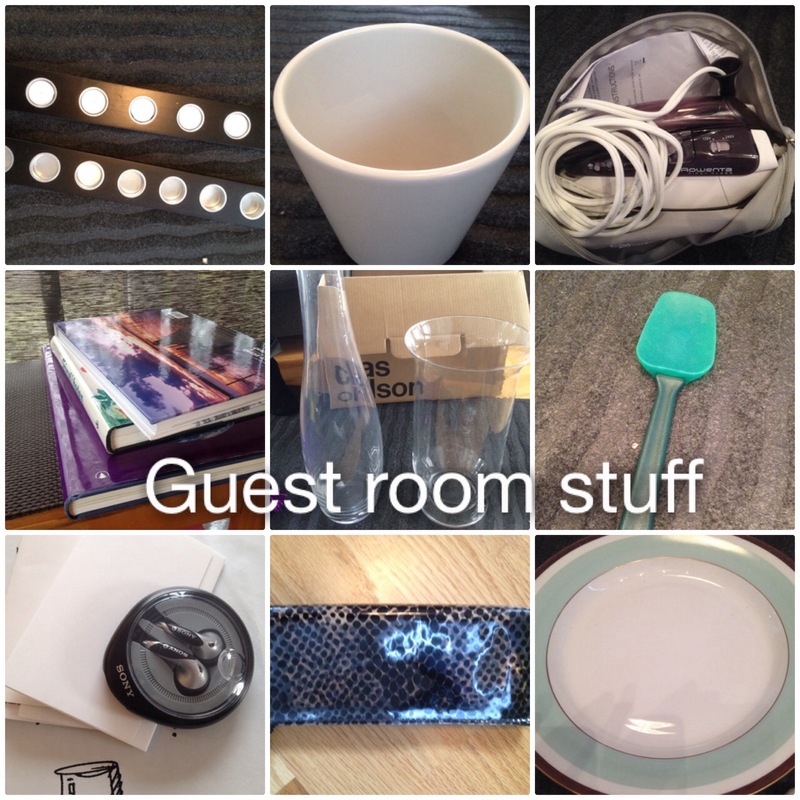 When I did my living room, most of the stuff that I found that needed to go out-the-door, got “stored” in my guest room, so below you will find the result from both the guest room and living room. 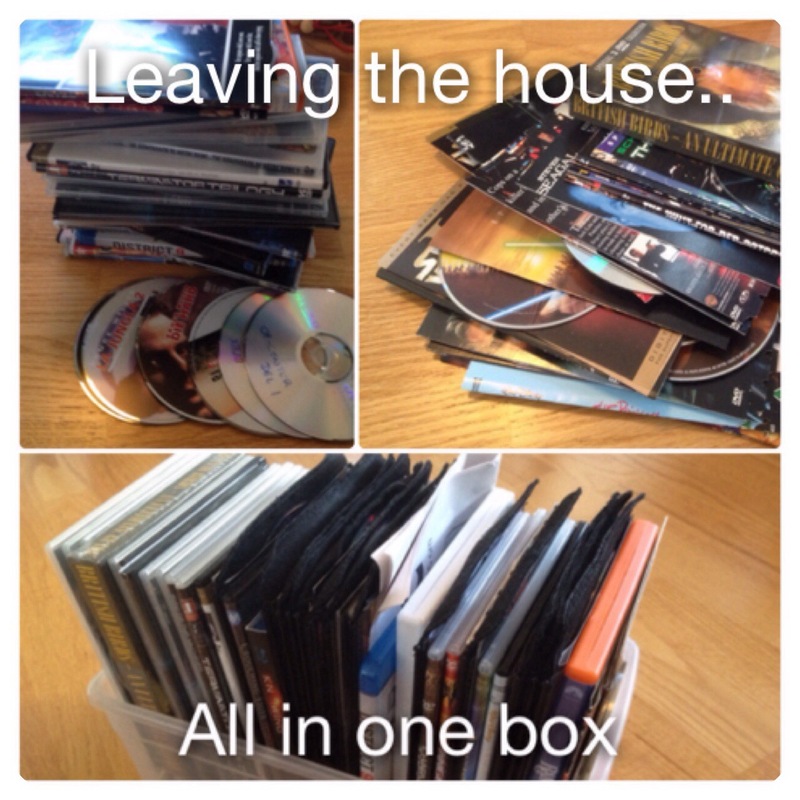 My movie collection is a mess! I’m not sure if you remember, but last year I told you I had started up going through my movie collection. Just like I’m working my way reading myself out of my bookshelves, I started a watching myself out of my movie collection task. For the time being I’ve been working my way through the individual movies collection, as the series are a whole different ballgame. And, I just had a big instalment of movies leaving the house 🙂 All counted up, they amounted to 50 movies out-the-door! After having watched a few pretty bad movies, I started to get more selective on who would make the cut, even just to watch, and a lot did not pass that little test. Then during my living room packing party, I had one day where I got into a bit of a ruthless tossing mode, and out a few more went. 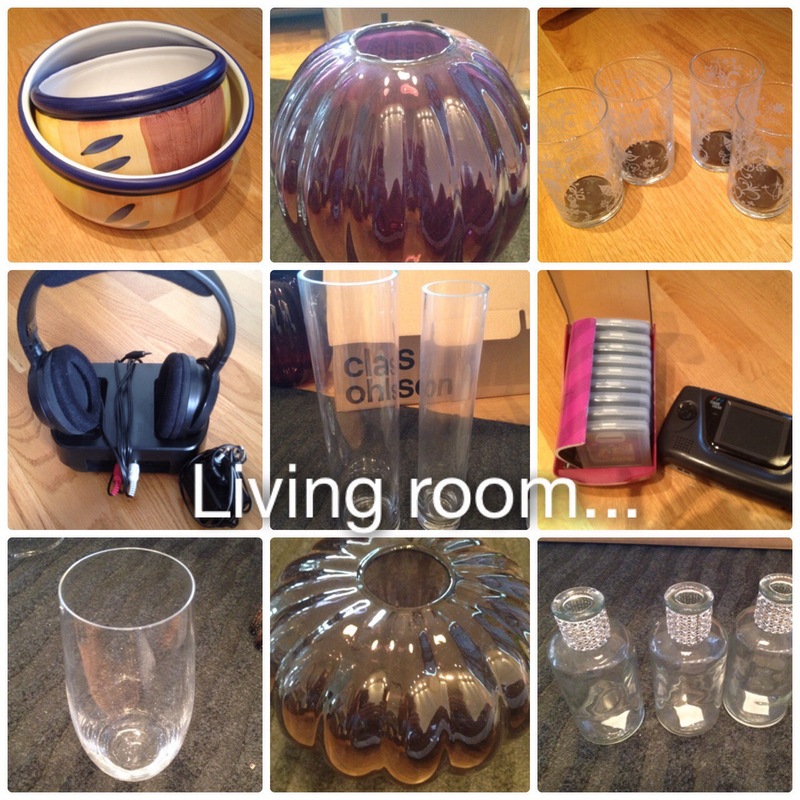 Packing party – Living room! it’s that time again. Time for me to tell you how I’m doing with my living room packing party. After all the boxes was full, I took the decorations from any surfaces in the living room (with the exception of lamps and my grandfathers old typewriter) and stuffed them into the credenza instead, just to get them out of sight. 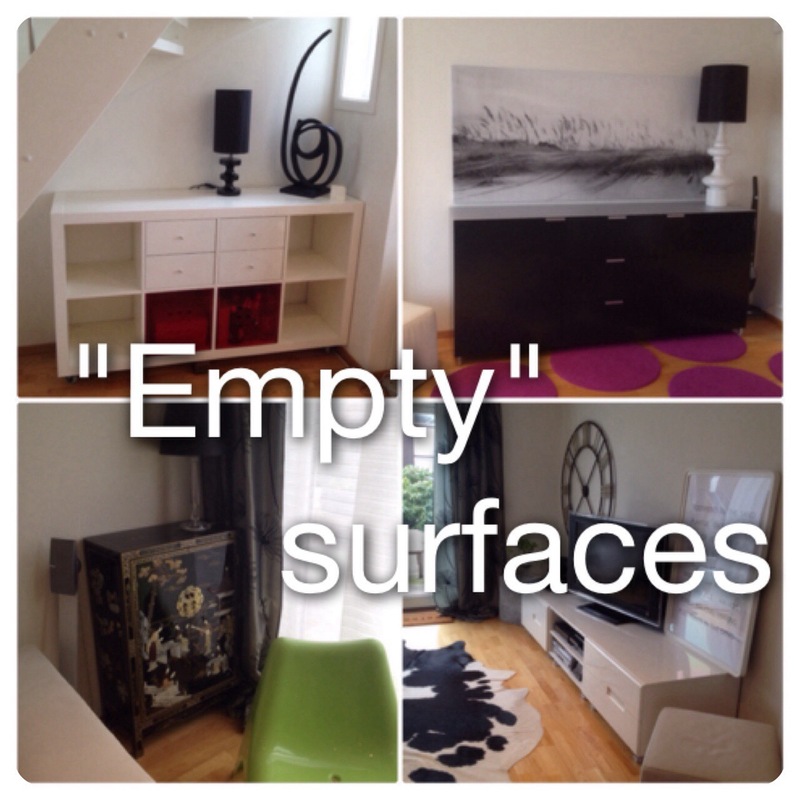 Right now my living room looks a bit bare (compared to before)… and I love it! I know I was only supposed to leave the room “empty” for 48 hours.. but I’m liking it so much I’m having a hard time putting things back on the surfaces. So I won’t. Yet! I am however unpacking the rest of the living room stuff, to free up the boxes. I have a lot of decorative pieces made out of clear glass, and they are really nice, but I’ve realised that since they are all clear glass it takes a “lot” of them to show up! And it quickly becomes cluttered. I think I need to change it up a little, maybe bring in fewer and bigger pieces. We will see! 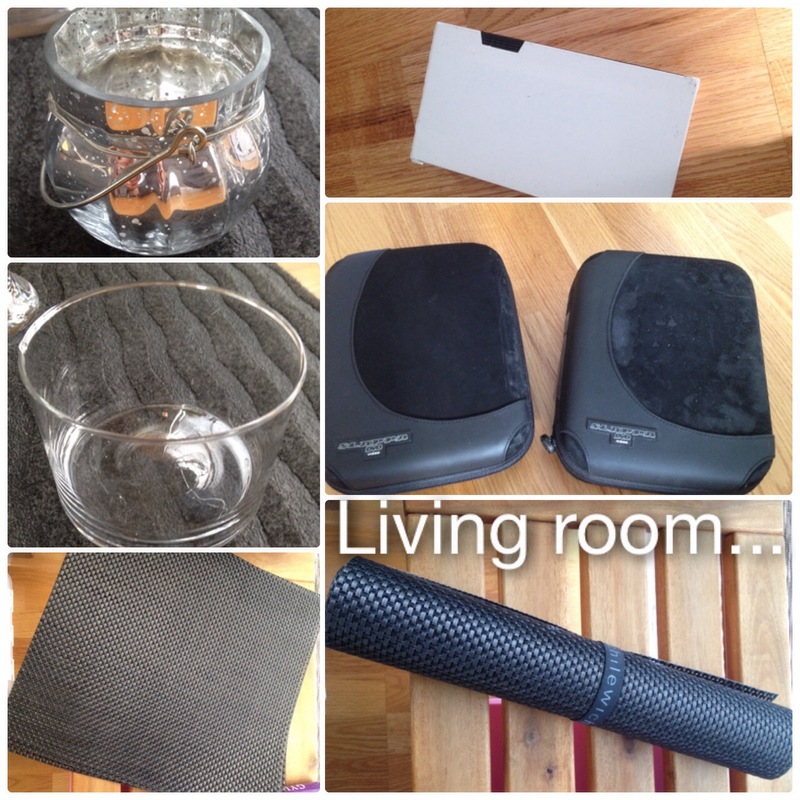 Right now I’m just going to leave it nice and “empty” and slowly incorporate items as I find the right things. So what room is next? I seem to be having a bit of trouble with this one. You see, since I live in a small home, the only rooms left are the kitchen, entrance hallway and guest-room. Doing the entrance area would just be teasing you guys, since it is the size of a stamp. Seriously, you open the front door, take one step in, then take one step to the left.. and you’re literally in the kitchen.. the hall is that small. The only thing I have in my “hallway” is one closet for outerwear and shoes. The kitchen, I have gone through so many times and it is about as streamlined as I can get it.. that I’m not sure what purpose the packing would have..
OK, I know.. while writing about my last rooms, I’ve decided I could probably do with one more round in the kitchen 🙂 So guess what? Kitchen it is! Are your coming?